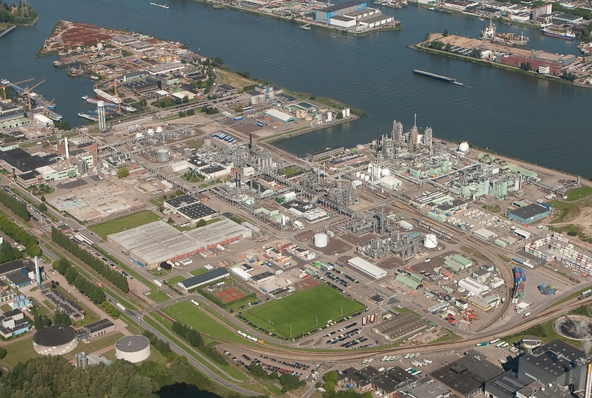 Blood tests on people living close to the former DuPont chemical plant in Dordrecht show that some have too much of the toxic chemical CB in their blood, the public health body RIVM said on Thursday. This means exposure to C8 may have damaged their health, the RIVM said in a new report. In the first instance, this could involve an increase in cholesterol, lower birth weights and changes in liver function. ‘People living close to the factory have higher concentrations in their blood than people living further away or for fewer years,’ the RIVM said. Nevertheless, the RIVM said, there is a lot of uncertainty about how much of the chemical, also known as perfluorooctanoic acid, is needed to cause these effects. In addition, the RIVM said, there is no point in carrying out individual health checks on everyone living close to the plant. Instead, people who are concerned about their health should visit their doctor. In its initial report last year, the RIVM said locals were exposed to higher than legal amounts of the compound via the atmosphere from 1970 to 2002 but not via drinking water. ‘In the worst case scenario, the norm was broken for 25 years,’ the RIVM is quoted as saying. In 2002 emissions from the plant fell to below agreed norms and in 2012, C8 was replaced in Telfon production by another less harmful chemical known as GenX. That too is now under investigation. The factory itself is now known as Chemours.